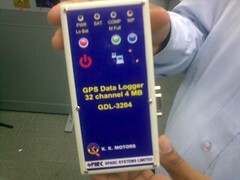 Primarily due to Kushal’s enthusiasm, I got myself a GDL-3204 GPS Data Logger from Sparc Systems Limited. In spite of the somewhat “home brew” looks it is a nifty little device with great accuracy. Kushal has been having fun with it during his recent visit to Malda and, we (Runa and me) have been learning how to get tracks and waypoints done using the simple manual that comes with it. At some point in time I should start getting familiar with the JOSM application and, upload the logged data using the script here. For now, it is great fun. Recently, I had the chance to use Lotte to translate and, it simply blows me away. The Transifex crew deserve some well earned applause for including elements that make it incredibly helpful for those involved in the work of translations. There is a slight annoyance which has now been turned into a ticket. Read off Planet Sugar that “several weeks ago”, activities.sugarlabs.org has exceeded 1 million downloads of activities. That’s just too awesome not to talk more about. As is mentioned in this tweet, imagine an activity developer who sees a steady increase in download and consumption going up to 20000 downloads. That’s just so amazingly sweet. The thread here looks to be an interesting one with regards to securing professional translations and, getting an open source project translated via community building. Should be good to see how it pans out. 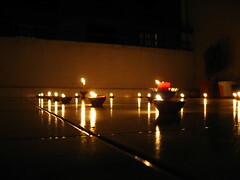 From the time I micro-blogged this, the thread has gone ahead and had more discussions. And, reading it early in the morning, it does appear to be a good thing to have. Those who are coming on to a Desktop Spin from other OS should have an easier way to adapt to and adopt the desktop. Good stuff.